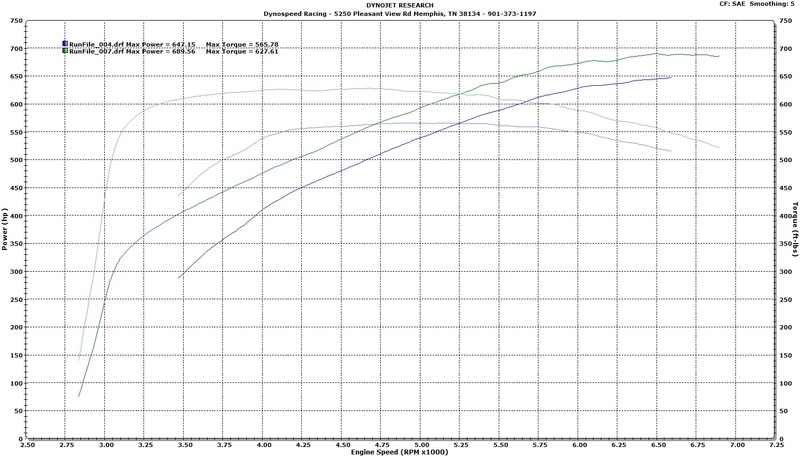 We recently finished testing on our new Dynospeed Racing 4.5 inch Cadillac CTS-V Air Intake and the results even surprised us. All testing was done on May 1, 2014 in Memphis TN. There were no changes to ignition timing and all testing done using the same tank of gasoline. The only changes made were rescaling of the MAF in relation to changes of intake size and throttle body parameters changed to match throttle body size. 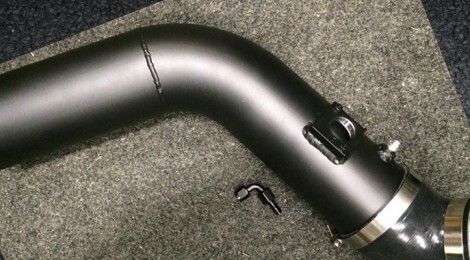 The CTS-V picked up 18HP/36TQ at the rear wheels just switching from the “popular” 4″ intake to 4.5″ Dynospeed Racing Intake with the same Mamo ported LS7 throttle body. It picked up 42HP/62TQ at the rear wheels switching from the Mamo ported LS7 throttle body with 4″ to NW 102 with 4.5″ Dynospeed intake. I’ll say, we’re pretty stoked about the results.